We had just ended our lecture on Nationalism and Ethnicity; the lecturer did an amazing job especially when he brought up the topic of voodoo as it relates to Africa. My course mate kept on hammering on how he felt naked after the topic (this had to do with the lecturer been British yet knowing so much about voodoo). This led to a long conversation with some other course-mates; apparently this particular guy is a traditionalist and he doesn’t hide the fact that he has used voodoo or juju as he called it but he said they are all African tradition and there is the good and the bad one. He went on to say he had used the good one and somehow he asked what I believed in and I told him I believe in Jesus (I needed this emphasis for a reason, I’ll let you know soon) and I’m a Christian and he goes, how can you believe the bible when you are not sure of who wrote it. This went on for a while with our number increasing. Before my relocation to the new place, I got some really funny and good advice but the one that stood out to me was this, ‘When you go there and you mention you worship God, be specific on the God you serve’. We live in a world where everyone lays claim to religion, in fact religion is part of who we are as human-beings, even an Atheist who doesn’t believe in God indirectly acknowledges His existence. The question is who do you believe in? A debate was put up by a Muslim Association on the question ‘Who is Jesus’. My friend who attended said the person representing the Christian association wasn’t very vibrant, while I was thinking he probably didn’t do his research well, my friend said NO! That it’s simple; look for someone on a wheel chair, and in the name of Jesus ask him to walk (do I hear someone praying in the Spirit). That singular act explains who Jesus is… and it got me thinking. This shouldn’t be wishful thinking, this is supposed to be who we are as Christians on earth, where we decree things and they happen. 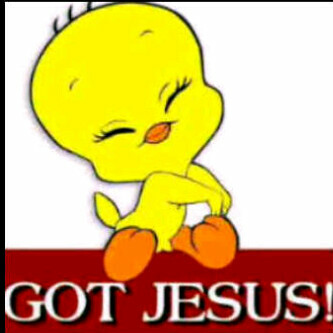 After all the God we profess is a speaking God, I don’t blame those who brought up the Big Bang theory. In the movie ‘God’s not dead’ the student defending God said if the theory holds that there was a big explosion and we all came into existence, then maybe they are not totally wrong cos imagine God the Almighty One who speaks to raging storms and they become still, imagine God the One who divided the Red Sea and it stood on both sides, yes Imagine that God saying ‘let there be’ wont there be a big bang. I didn’t bring up points with my course-mate why I thought he should become a Christian, I told him just like Bishop T.D. Jakes said, whoever or whatever you make your God; make sure that God can heal, protect and above all save you. The truth is people like that make great evangelist once they have an encounter with God, which is my prayer for him. Remember we live in a liberal world hence we ought to respect people’s choices especially when it has to do with religion. Your job is to represent the God you serve in your way of life and let it do the entire preaching. I had just landed, exhausted from the journey and anxious with the next phase I was getting into. All I wanted, was to pick up my luggage but I was shocked with the long queue I saw waiting to be cleared. While I was trying to count the number of people before me I heard ‘all those with EU passport follow me’ I smiled and I smiled again. I was having a seminar/group discussion on the topic of Colonialism a few days ago. Midway into the discussion the subject of nationality came up when a lady talked about an American festival; during the course of the debate, a guy said he was American(with the look that said yea, I know what she’s talking about). I found out today his statement got a Nigerian lady really really disgusted citing his thick African accent (I’m sure by now you know he’s African, he probably got the Green Card or something else), in fact she said he might be carrying his American passport around. The episode at the airport and the Americanah got me thinking on the word IDENTITY. All the people with the EU passport had some privileges over those who had ‘other’ passports, the Americanah subconsciously dropped his origin which got the lady upset. Over the years I’ve seen some funny wedding pictures all in the name of getting a particular passport; while I may shake my head vigorously at it, the man in question is rejoicing over his new status. A look at the society will reveal an increase in identity crisis, we have gotten so entrenched with Popular Culture (pop-culture) and it’s getting difficult tracing back to who we are as a people and what we believe in. Africa has often been called a nation and it always evokes emotions on the part of Africans but at the same time I’ve seen lots of Africans respond to the question of nationality with Africa. You hardly hear I’m Nigerian or Ghanaian and please if you have dual citizenship be specific of your country and stop saying African-American/British (guess I just ranted). A friend told me of how embarrassed she felt when a friend of hers in Netherlands asked her about her culture and she couldn’t say much; she even vented out her anger when I told her parents in Nigeria send their kids to ballet classes. Is she saying ballet classes are wrong? No, but it’s not our culture. You may want to argue based on the line of interest and exposure but I will ask, can those kids comfortably showcase their cultural dance or render a folk song or give a little insight of their ancestral history. While we are busy giving our kids ‘international’ status our identity as a people is gradually phasing out. My aunt used to breathe down on me whenever the issue of language came up but now, I know better. if we are not careful, our languages will become extinct in the future. There’ll probably be a language museum where our kids are told of a language that once existed. My mum likes to use Ibo proverbs a lot, often times at home we tease her by reciting all her famous quotes. One of the popular one she says is ‘I me onwe gi oke busu erie gi’ which simply means if you make yourself a rat, you’ll be eaten by a cat. Beyond Colonialism, let us all have some dignity and respect for who we are as a people and as a nation. No country is perfect, it’s a work in progress. 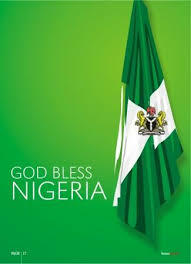 I’m from NIGERIA and I’m proud to be one. HAPPY BELATED INDEPENDENCE DAY!! !